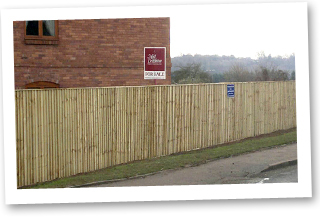 At MJ Evans Fencing Ltd we are proud to be able to offer every customer a professional service from start to finish. We pride ourselves on attention to detail so whatever the size of your project, whether it is fencing your back garden or managing your Estates stock fence, we will be more than happy to meet on site, discuss your ideas and give you a free no obligation quotation. Here at MJ Evans Fencing we cater our fences to each individual customers needs. We are experienced at erecting all manner of fences from site security, private domestic, agricultural and anything else you can think of. Taking a great deal of pride in our work we won’t leave a job until our customers are happy and they can be safe in the knowledge that we are fully insured and CIS registered. 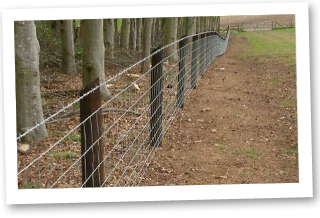 MJ Evans Fencing was started in 2006, prior to which Mark had been fencing for a living since 2001. Mark is currently the UK National Fencing Champion having successfully won the Fencing and Landscape News competition at Driffield Show this year. Please take the time to browse through our Gallery and look at our Portfolio of work. If you're interested in getting a quote for a project then just send us an email. 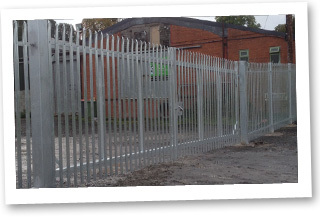 We can offer a full range of security fencing from steel palisade to mesh systems and everything in between, with gates to match. Our Agricultural & Equestrian Fencing comes in many formats, from lamb-safe netting and multi strand barbed wire to 8' high deer fencing. Finished to a high standard our domestic fencing using responsibly sourced 15 Year Guarantee Timber can include anything from close board fence to provide privacy to a dwarf palisade fence to define a boundary.